Chest Freezers. among other things, are a great way to store ice indefinitely. Many restaurants and pubs forego purchasing ice machines and choose just to use a chest freezer with their ice deliveries. All you need is a powerpoint and your good to go! It doesn’t always make fiscal sense to purchase a chest freezer, especially when you have to account for the disposal afterwards. Sometimes you only need a chest freezer for a few days at a time. In these cases, rent a chest freezer from Iceman! Whether you need a chest freezer today, tomorrow, or yesterday, give us a call or book a chest freezer online and we’ll more than gladly accommodate! 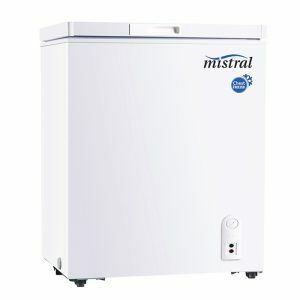 We may be able to provide FOC Chest freezer loans to customers who require it for resale of our ice or storage purposes. Enquire for more details!